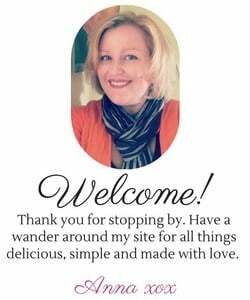 I love having these quick easy recipes on hand, ones that require only a few ingredients, a few bowls and minimal time! 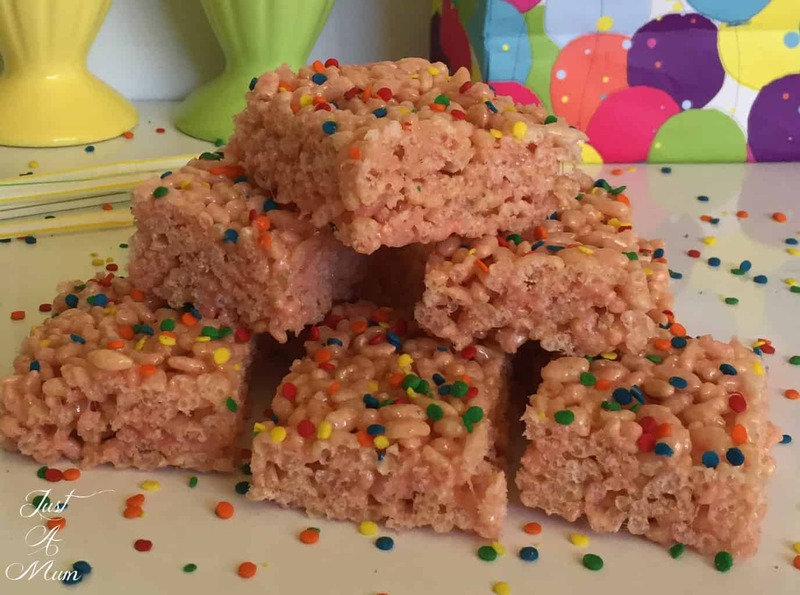 This recipe for Marshmallow Rice Bubble Slice fits that bill perfectly. I wanted something for a family picnic that was a bit different and a bit fun and I spied the Marshmallows in the back of the cupboard and thought they would be perfect in this. 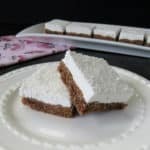 Usually we make the Honey Rice Bubble Slice which is one of my favourites, especially as it takes only a few minutes to make and seems to be popular with kids and adults alike! 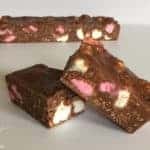 Now back to this recipe, many of the recipes online for this slice include only the white marshmallows, and if you are fussy about the end results you can easily just choose the white ones! But for me I love the pink ones and I think the flavour of these were great! 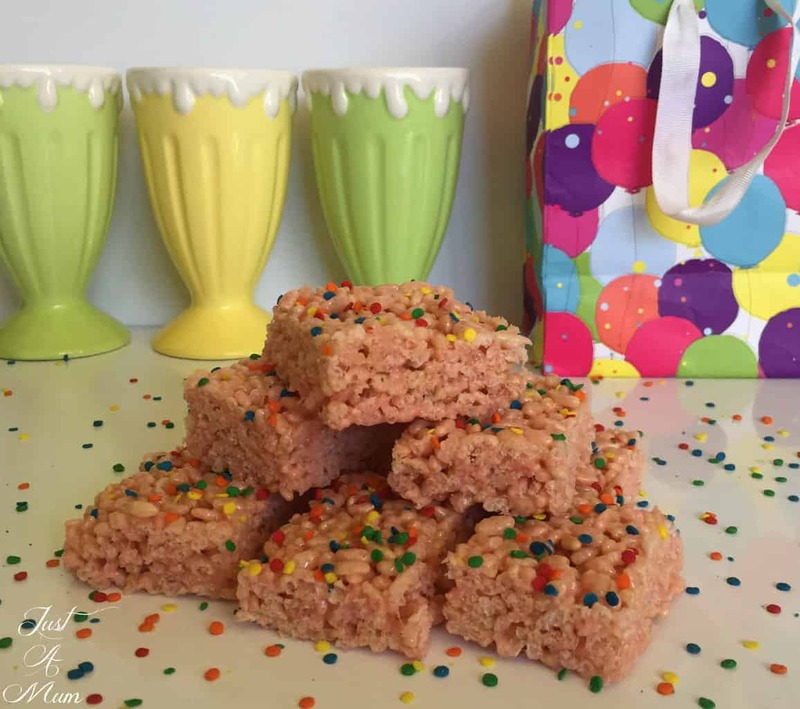 It is also a super versatile recipe, you can add mini candy coated choc bits, or as I have done here add the bright sprinkles on top to make it look extra fun! 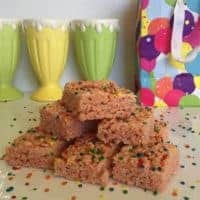 Only 3 ingredients, and a short amount of melting and mixing this recipe will take no time at all to make up. The mixture at the end is a little sticky and very hot so once you pour it into the slice tin spread it as best you can with a large wooden spoon or spatula, then use another piece of baking paper over the top and press down and smooth with this to get a nice flat finish. You can cool this on the bench to room temp or in the fridge if you are in a hurry. Best to slice this one just as it cools to room temp to make it easier for yourself. In a large sauce pan add the marshmallows and cubed butter and begin to heat over a low temp. Stir constantly with a rubber spatula or wooden spoon until the marshmallow is fully melted and the butter incorporated, be sure to not let it catch on the side and bottom of the pot. Remove from the heat and add the rice bubbles and mix quickly and thoroughly (if adding choc bits etc add them now). Pour into the prepared slice tin and press down with a large wooden spoon or spatula as best you can. To get a smooth finish use a large piece of baking paper over the top and smooth the slice with your hands until flat. If using can add the sprinkles over the top of the slice now. Allow to cool to room temperature before slicing, once completely cold store in an airtight container. It really is a super easy recipe to make. The kids thought it was absolutely delicious and I must admit my husband and I did too. 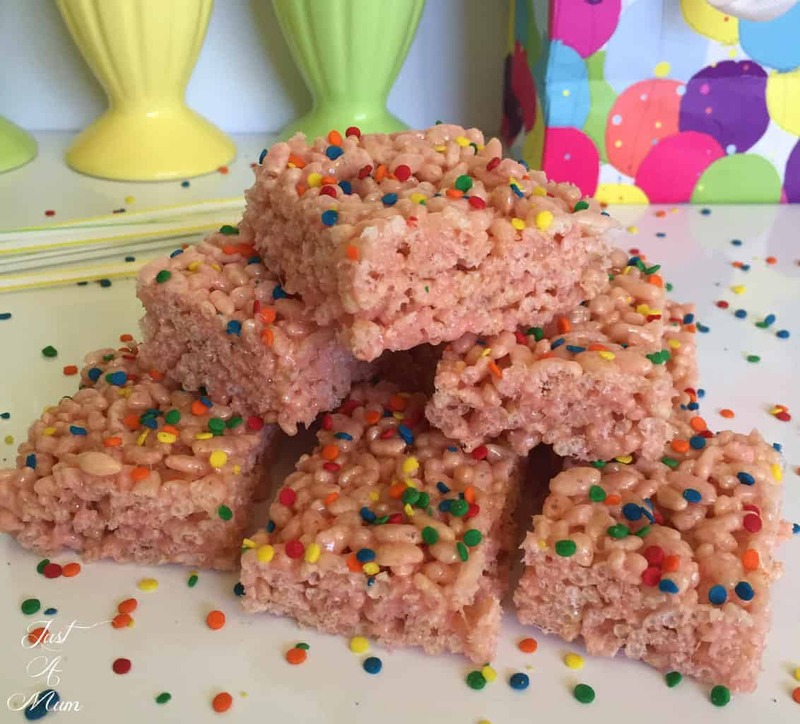 Would be a great recipe to make for a special occasion or a class party, especially if you can prepare it using allergy free ingredients! 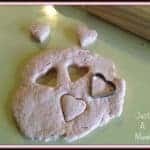 Salt-Free Magic Playdough – 2 Ingredients!